A photograph taken by USA Basketball photographer Bart Young and released on Wednesday, one day after the organization announced the identity of the 12 players who made the 2018 U18 Men’s National Team, got me thinking a little bit about KU’s presence within the history of USA Basketball. As you all surely know, there were no Jayhawks on the original Dream Team, which featured Michael Jordan, Larry Bird, Magic Johnson and a dozen other NBA all-time greats back in 1992, but before that and in the years since, the Kansas basketball program has put its stamp on Team USA in a bunch of different ways. The most recent example of this, of course, surfaced this week, when current KU freshman Quentin Grimes, made the 12-man U18 team that is coached by current KU head coach Bill Self, former KU star and assistant coach Danny Manning and features trainer Bill Cowgill and video man Jeremy Case in support roles. Those five were in the photo that Young shared and all five will be making the trip north to Canada on Thursday to prepare for play in the FIBA Americas tournament next week. So, too, will Class of 2019 KU targets Matthew Hurt and Jeremiah Robinson-Earl. 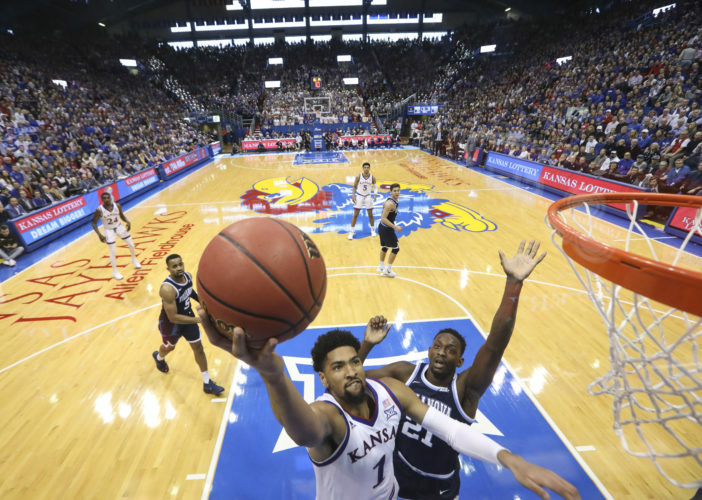 KU assistant coach Norm Roberts was in Colorado earlier this week and he said it was clear that Self was soaking up the experience. 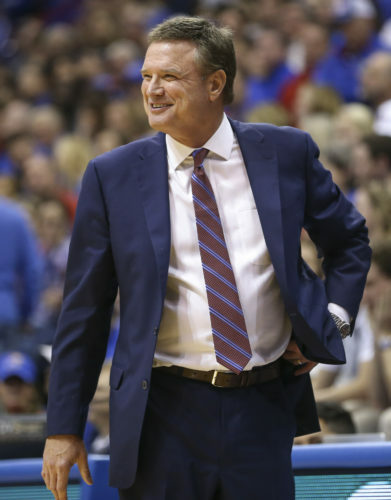 As for Grimes being with Team USA instead of the rest of his Kansas teammates in Lawrence for summer workouts, Roberts said the scenario was a win-win for the KU freshman. While these names are the newest with KU ties to be linked to USA Basketball, the Kansas connection, like so many things in the game of basketball, dates back to 1936, when legendary KU coach Phog Allen played an instrumental role in getting basketball into the Olympic Games. From there, as his coaching legacy continued to grow, Allen later helped coach a group of seven Jayhawks to a gold medal in the 1952 Olympics. That group, which included Charlie Hoag, Bill Hougland, John Keller, Dean Kelley, Robert Kenney, Bill Lienhard and Clyde Lovellette, later was joined by the following Olympic medalists who called KU home at one time or another: Allen Kelley, Arthur Lonborg and Dean Nesmith (gold, 1960); Jo Jo White (gold, 1968); Danny Manning (bronze, 1988); along with Roy Williams and Larry Brown, who served as coaches on Team USA’s bronze medal bunch in 2004. Hougland also won gold in 1956 and former Jayhawk Darnell Valentine competed with a USA Basketball team in the Gold Medal Series, a stretch of games against NBA All-Star teams in various cities in the United States. 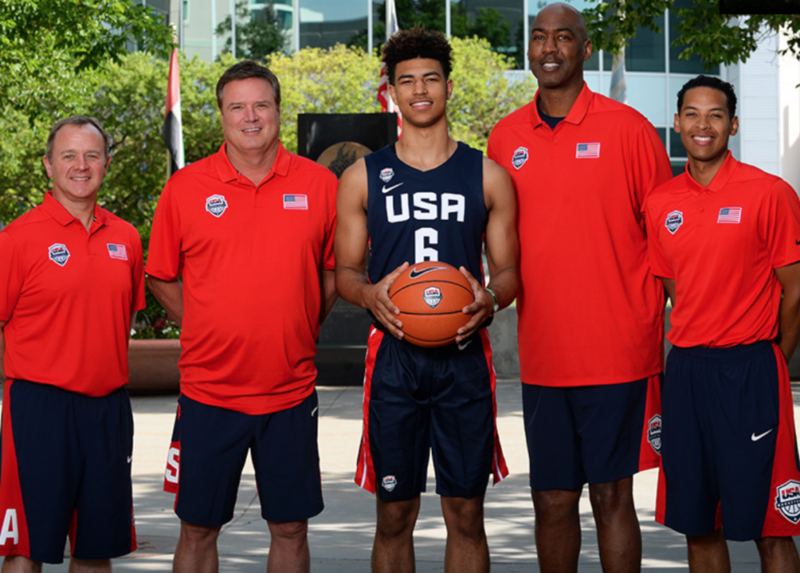 As evident by Grimes, Self and company participating with the U18 team this summer, USA Basketball’s exploits exist well beyond the Summer Olympics and several former Jayhawks have participated in those events as well. • World Championships — B.H. Born and Allen Kelley (gold, 1954); Mark Randall (bronze, 1990) and Kirk Hinrich (bronze, 2006). • Pan American Games — Melvin Kelley and Robert Kenney (gold, 1955); Jo Jo White (gold, 1967); Norm Cook (gold, 1975); Danny Manning (bronze, 1987); Keith Langford (bronze, 2015). • U18 National Team — Nick Collison won gold in 1998; Travis Releford was a silver medalist in 2008 while Grimes is going for gold next week. • U19 Junior World Championships — Kerry Boagni won a gold medal in 1983; Larry Brown (head coach) and Kevin Pritchard teamed to lead the U.S. team to silver in 1987; Nick Collison won silver in 1999; and Tyshawn Taylor was on a gold medal team in 2009. • U22 National Team — Steve Woodberry and Roy Williams (head coach) led Team USA to silver in 1993. (Williams also was the head coach of the U.S. Olympics Development Team in 1992). • U.S. Men’s Senior National Team — Nick Collison won gold in 2003. • USA Men’s World Championship Team — Paul Pierce and Raef LaFrentz were on the 2002 team that took 6th a the FIBA World Cup. • USA World Championships for Young Men Team & Qualifying Team — Nick Collison won gold in 2001 and Collison and Drew Gooden won silver while qualifying a year earlier. • USA Men’s Select Team — Nick Collison, in 2000, and Marcus Morris, in 2010, participated with this team. • U.S. Olympic Festival Competition — Greg Dreiling (1981-82); Kerry Boagni (1983); Danny Manning (1985); Kevin Pritchard and Mark Randall (1986); Lincoln Minor (1987); Richard Scott (1991); Jacque Vaughn, Scot Pollard and Jerod Haase (1993); Raef LaFrentz (1994); Billy Thomas (1995). Boagni, who later transferred to Cal-State Fullerton, and Vaughn were named to their respective all-festival teams. • Nike Hoop Summit — Ryan Robertson (1995); Eric Chenowith (1997); Nick Collison and Kirk Hinrich (1999); Brandon Rush and Julian Wright (2005); Xavier Henry (2009); Cliff Alexander and Kelly Oubre (2014); Josh Jackson (2016); and Quentin Grimes and David McCormack (2018). That list does not even count KU representing the United States in the World University Games a few years back or the handful of future Jayhawks who played in the USA Basketball program before getting to KU. 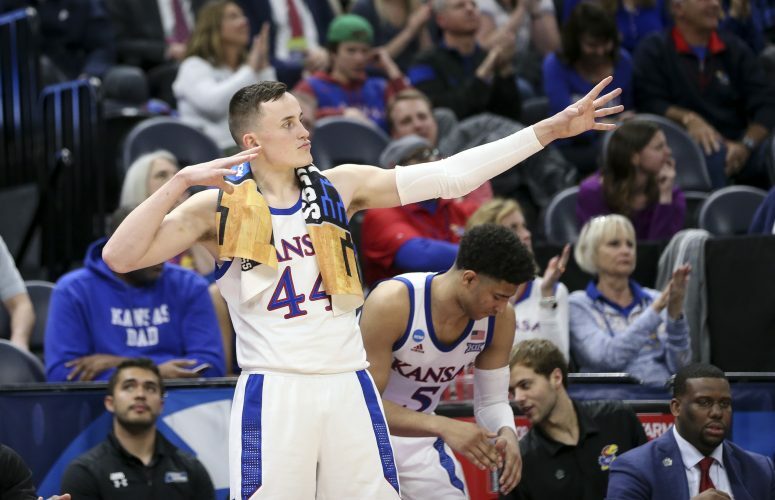 In addition, current Jayhawk Udoka Azubuike (Nigeria), along with former KU standouts Sasha Kaun (Russia), Svi Mykhailiuk (Ukraine) and Andrew Wiggins (Canada) also have international experience playing for their respective countries throughout the years. Is top 5 Class of 2020 prospect R.J. Hampton an option for Kansas in the Class of 2019?